Since I started working at Rotary, reading about Rotarian service projects seeking resources and promoting completed efforts has been part of my daily routine. I learn about many inspiring projects but had my first opportunity to see them in real life in Kuala Lumpur, Malaysia, this past November. I often hear about Rotarians’ hospitality, but hearing is nothing like experiencing. When I landed in Kuala Lumpur, I saw a familiar sign in an unfamiliar land: a Rotary sign carried by a friendly face; a Rotarian was there to pick me up! 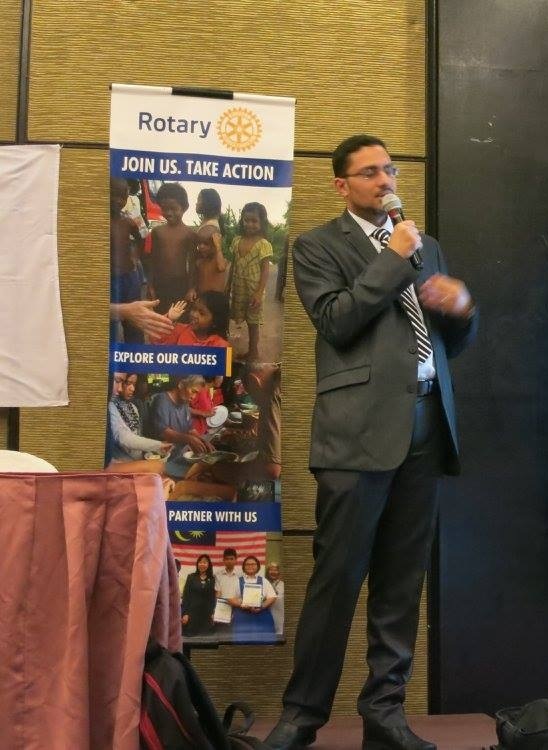 Daily, a welcoming Rotarian was by my side offering a helping hand and accompanying me where I needed to be. It was wonderful to get to know them personally and enjoy hours of conversations on the road. I was invited to many delicious meals and great conversations with Rotarians from District 3300, as well as District Governor Kirenjit Kaur, the district’s first female governor. These meals finally culminated in a gala dinner with RI President Gary C.K. Huang, attended by more than 650 Rotarians and friends! Children’s Residence Rotary Club of Kuala Lumpur Diraja is helping provide a home for 100 homeless children. The large plot of land for this residence was donated by a generous local Rotarian. Malaysia Rotary Day During Malaysia Rotary Day, President Gary inaugurated Rotary District 3300’s Rotary Kasih (Rotary Love) project. The event also included a beautiful exhibition of the Rotary projects from around the district. This was a very brief overview of an unforgettable experience whose memories will stay with me for a lifetime, just like many of the Rotary projects that positively impact people’s lives forever.